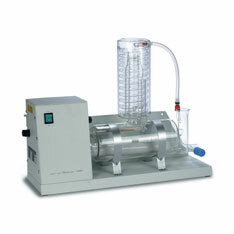 Fully automatic, borosilicate glass stills with silica sheathed heaters. Available with outputs of 4 or 8 litres/hr single distilled or a double unit producing 4 litres/hr of double distilled water. This type of water distillation specification is capable of being converted to pre-treated feed to remove the need for descaling. Economical borosilicate glass still with silica sheathed heater. 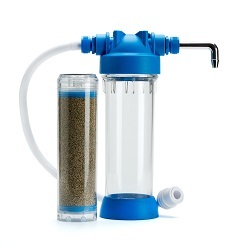 Produces 4 litres/hr single distilled water. For this type of water distillation system, a safety device is included which turns off the heater and prevents overflow when the collecting reservoir is full. 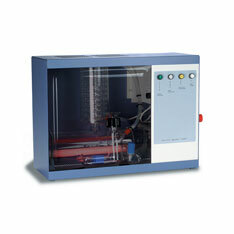 This is a simplistic water distillation device that comprises of a glass water still with long life metal heater and twin safety thermostats. 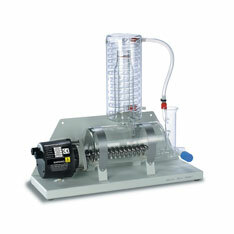 The Merit water distillation system is ideal for schools and colleges.